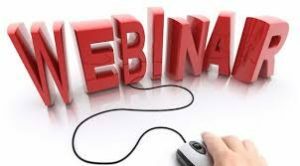 I have a vast repertoire of Webinars available for delivery — either ‘off the shelf’ with minimal change or topics that can be more fully customized to your audiences. You can read a partial list of testimonials here. As well, I am planning to offer some online courses and webinars directly — to hear of these, best to Stay in touch – and sign up for my newsletter to hear of upcoming webinars and other news. Some are free and some have a modest fee. Don’t miss out. I usually share news and invitations with my community (newsletter/list) first. Customized or ‘off the shelf’ Webinars as well as ‘virtual meetings’ for your team. If you are interested in bringing team/organizational learning opportunities to your organization via webinar and/or ‘virtual classroom’ – I am now offering a range of courses/programs/presentations. Some are ‘off the shelf’ (ish) and others are customized to your needs. Finding Ease in Times of “Crazy Busy” (based on my book) – manage stress; learn resilience strategies; and more. And many more….check back soon. WHAT OTHERS HAVE SAID: these have all been presented in various forms and with excellent feedback. Touch base if you want to learn more and hear what others have said. Feedback and testimonials available (will be updating testimonial page soon as well). Get in Touch to explore possibilities for your team!